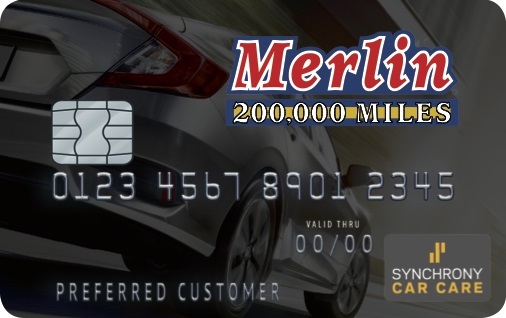 To access the application for the "Merlin Credit Card" you will be redirected to a third-party site that Merlin does not own, operate, or control. If you have questions or concerns about accessing the application for the "Merlin Credit Card," please contact us at http://www.drivenbrands.com/accessibility/contact-form/. For more information about our accessibility efforts, please visit our Website Accessibility page at https://merlins.com/web-accessibility/. Apply today and take advantage of special financing! No interest if paid in full within 6 months on purchases of $199 or more* made with your Merlin Credit Card. Interest will be charged to your account from the purchase date if the promotional purchase is not paid in full within 6 months. Minimum monthly payments required. We reserve the right to discontinue or alter the items of this offer at any time.